Currently my longest-project so far, a somewhat-realistic (in terms of my current skill) approach on my imaginary space lizard, the Jowwicera. While not actually alike any real Earthen Dinosaur, I did a reference quite a bit to Dilophosaurus, Utahraptor, JP Velociraptor, and Spinosaurus. Some features are intentionally "inaccurate", due to it being an imaginary creature and thus my own bias and ideas. Hello! My name is Rebecca, and I am an avid gamer and artist. I started this DeviantArt account when I was 15 years old, with the aim of sharing everything I produce across multiple platforms. Nowadays I aim to use it as a gallery for my Spore and YouTube related projects, while continuing to add whatever else I may produce overtime. Stick around, I hope you enjoy what I may share! My YouTube Channel is where I spend most of my time and resources, with my DeviantArt account being used as a gallery to share whatever I produce over at YouTube. Over there you'll also find videos showing the entire process of creations and 3D artworks. Here is my Patreon, in which allows me to focus on making entertainment and artwork my business and profession. Consider pledging, have access to all YouTube video content early, and depending on the weight of the pledge, your very own personalized requests, too! Many thanks to these people for all their help, donations and premium membership! Rebecca1208 has started a donation pool! Commissions! How does it work? Read my rules, check my portfolio, request a model, pay the deposit, wait, pay the final fee, and enjoy your character in 3D! I only accept payment via PayPal. All of my prices are stated in Great British Pounds. 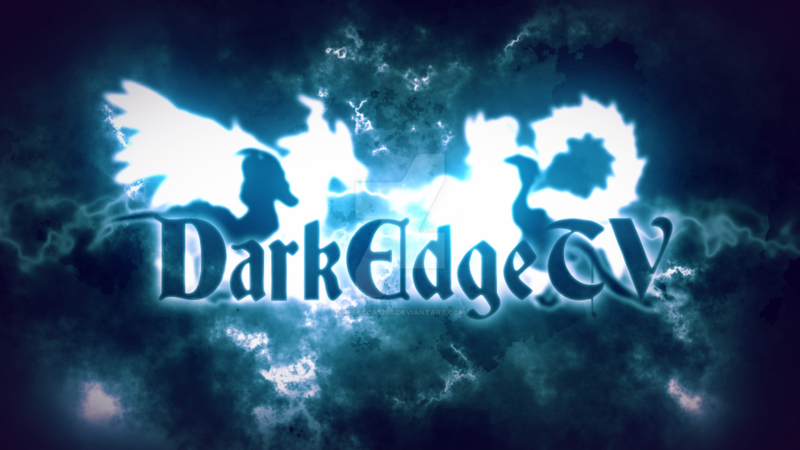 If you wish to make a purchase or inquiry, email me at darkedgetv@live.com - Contact me on Email, DeviantArt or Discord for questions and information. Check my rules and requirements, browse my gallery, understand I am still learning 3D artwork, and then inquire either here or via email. Inform me that your payment is about commissions. If you send me a blank payment, I will assume it is a donation. Wait for my approval before sending payment - If your commission is not accepted, I will refund you. If you pay without approval again, I will accept it as a donation. Any deadlines or urgencies must be expressed ahead of time - Otherwise, expected wait time will be up to 3 months (depending on queue). I reserve the right to decline and/or cancel any commission. A deposit is required before I begin - Once the commission is completed, I will send you a low-res preview and the final bill. Once payment is fully completed, I will send you multiple shots and views of the final HD piece, and an interactive low-resolution model via SketchFab. The deposit is the initial price listed above, the final bill is the total accumulated price after. Once the commission is complete, I will provide plenty of angles and views, and an interactive low-resolution model via SketchFab I can also provide an exported .obj or the project files, however I do politely request some credit or reference as the author of the 3D model itself should you use it in projects. What style you are purchasing - Do you want a simple portrait? A complex full-body sculpt? What do you desire for your character - emotion? expression? action? different colourscheme? Is your reference old or missing anything? Am I making a literal duplicate of your character, or a different style (eg. anthro/feral), or my own interpretation? And most importantly; Can you provide the deposit up-front, and pay the remaining fee upon completion? Robots, cyborgs, bionics, implants etc. I record everything I draw, thus timestamps will be available. These commissions will not automatically be livestreamed and published, however I will respect your wishes if you do not want me to livestream or create videos of the commission. Time taken WILL include minor breaks during sessions - Timestamps will be a reference, not a record. I will be reasonable, but I will not include massive breaks. Q: Why the steep pricing? A: 3-Dimensional means I have to look and judge from every perceivable angle. The final outcome may be displayed in 2D but I still must consider every side and view, which takes a lot of time, calculating and planning. Additionally, the time spent on commissions will directly compete with video-making and livestreaming time, thus the potential revenue must compete as well. Q: Why increase the Price Per Hour if higher-detailed models will take more time too? A: As mentioned in the notes below, I am a fast drawer. The time I take to create smooth lines and clean surfaces isn't too different from the time I take to create a multitude of textures and definitions. Additionally, more detail still requires more planning, while simple designs are more just down to simplicity and polishing. Q: How long do these typically take? It varies wildly depending on style, features, complexity, pose and all that stuff. The rough portraits take on average 30-60min while everything else can vary from 3-10 hours recorded, sometimes over the course of a couple of days. Larger and more complex stuff may of course take longer. Q: How will Price Per Hour be determined? I record all of my art for potential video purposes, thus I will be recording the time taken anyway. I will also set up a stop-watch for entire commission sessions. Minor breaks (such as planning, stretching or finding references) WILL count, but larger breaks will not count. Q: Why offer "Semi-Realistic" and not full realistic? A: Because I do not yet consider myself capable of realism, nor do I want to set unrealistic expectations. Additionally, my version of ZBrush does not support fur and hair. Q: How do you determine what is complex/detailed and what is simple? A: The style - NOT the polygons or features (unless it really is a lot of features). A simple piece is polished and smooth, like vector art. A detailed piece has greater complexity, such as muscle definitions, wrinkles, tufts of fur and so on. A semi-realistic piece is me try-harding the hell out of it and constantly referring to photographs, as well as defining individual scales and all that jazz. Q: Can we trade? Can you gift me? Can I get a discount? Q: Can you rig your models? Can you animate them? Will you? A: Not yet. I need to learn these skills first before I can offer them for sale. I am happy to try and create models that are posed (not optimised) for rigging, but understand that I am inexperienced and will need clear communication to get the best result. Now that I'm finally getting the hang of 2D drawing again, I wanted to at long last update my pledge banners. As you can see here by the new and old comparisons, the old ones just felt... kind of crappy to be honest. Sure they're some very iconic Spore creations of mine, but the banner themselves just felt kind of cheap and slapped together. But I love the overall simple nature and that they are my favourite Spore creations, it feels like a good homage to how I've started. So I wanted to redraw them properly. The Jowwi has obviously gone through the biggest make-over, now that I've adopted it's new redesigned form. The others were quite fun to play with, I think my favourite redesign is the Sun Wyvern, while the Red Dragon has definitely kept that opposing majestic form. Patreon - If you want to help support, every little bit helps! $25 Sun Wyvern: - After 5 consecutive months of Patronage, you'll earn a 10% discount to all art commissions. 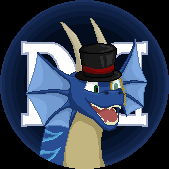 $50 Red Dragon: - After 5 consecutive months of Patronage, you'll earn a 20% discount to all art commissions. $100 Tien-Lung: - After 5 consecutive months of Patronage, you'll earn a 40% discount to all art commissions. This will immediately be in effect for all existing Patreons - Some users may already redeem this perk, while others have already begun progress towards it. This perk cancels after the pledge has been reduced or removed. Personal Note; I added those additional charges on as it's a thing I have seen a lot of other (2D) artists do, and it made sense to me at the time. In hindsight, the extra prices just seemed unnecessary and greedy given that 3D modelling the extra features will cost more time and money anyway. There's no need for me to charge extra on top of the per-hour pricing. A: Not yet. I need to learn these skills first before I can offer them for sale. I am happy to try and create models posed (not optimised) for rigging, but understand that I am inexperienced and will need clear communication to get the best result. CHANGED " I will charge via a combination of time taken (specified above) and complexity of the model (features and assets, not polygons)" TO " I will charge via time taken (specified above), which will be recorded both on video and with a stopwatch"
I saw your videos on Youtube and your sculpting skills are SUPERB! I'm wondering if you've ever worked on Spore before (as in the original Spore game from 2008) or if you're just a gamer? If not, and if there is ever a chance, Maxis/EA should definitely hire you if they ever decide to make another or a remake of the game. You're an amazing artist and just as good as your sculpting. Keep up the amazing work! Your art is AMAZING and the fact you're a fan of Spyro REALLY makes me love everything more<333 Oh my goodness I could just sit and look at your art all day it's so BEAUTIFUL! Have you seen the pacifist run of Spore by Uberdanger? Hey, not sure if you remember me, but this is Tektyx. I switched accounts a while back, but I'm still around making artwork. Your 3D stuff is really looking awesome!